This is my last post on Kill Ten Rats. I am not sure how to say good bye. I have closed up shop on a lot of games. A great many of them ended on coasting status, limping along and skimming the cream off the top in case I decided to go back. I can think of few cases where I went back and fewer where I went back for very long. The last play sessions were generally clean up, again with the prospect of someday returning. Clean up inventory. Finish off some quests. Complete the event achievement. I have lost touch with a great many people. I still have a few from Guild Wars 2, a few from City of Heroes. I miss a few from Asheron’s Call and wonder what happened to them. On the other hand, I still get together with people I met in Asheron’s Call. The New Year’s LAN party has been a tradition for more than a decade, even if some years there is not much LAN-liness. I joined up with Kill Ten Rats as Ethic was expanding to a group blog around the time that I was considering starting or joining an MMO blog. I had been involved in a variety of forums over the years, and I wanted something more permanent, more “home.” I suppose now people would just use social media or an existing aggregated site. Kill Ten Rats became a group blog. We played different games and talked about them. I started as the blogger for a game that no longer exists. We compared what we were seeing in different games. As time flowed, we swapped between games or maybe played together. There was not a guiding force behind that, just what we happened to be playing. Lord of the Rings Online is where we were most likely to overlap. We had great hopes for Warhammer Online and then greater for Guild Wars 2. Neither was a bad time, but neither was The One. Kill Ten Rats was probably best known when Ravious made us essentially a Guild Wars 2 fan site, following the game throughout development. Our biggest exposure came from a brief time with World of Warcraft, because a small nod from the big dog is a lot more attention than several other games combined. Most of our co-bloggers fell away quickly. People had a few ideas to post but not something consistently over time. Some made a half-dozen posts. Some blogged steadily for a few months then trailed off. For most of our time here, it was me, Ravious, and Ethic. I knew Ravious from A Tale in the Desert. We were in Southren Star Guild, a early typo made permanent name. He stumbled over the chance to join KTR more or less the same way I did. His enthusiasm was always a better draw than my bloodless analysis, plus talking about the New Hotness has a better audience than my habit of discussing a random game from 10 years ago and how its mechanics relate to whatever. Zach was a good friend and a good writer to have around. We knew each other online and played together for about 15 years, only meeting once. He died of cancer in 2017. I remember some fun stories from games. One about my wife was pretty popular. There was the occasional reach at social relevance and frequent inclusion of social science. There were fun reviews and fables. There were posts that no one liked where I tried to use songs as extended metaphors for gaming. We had a kerfuffle after one of our writers talked about having bought in-game gold, and others talked about having accounts hacked and looted by gold-sellers. Kill Ten Rats has been my public face for gaming for most of my time online. If you’re reading this, there is a fair chance you are or were a gaming blogger and we met via gaming blogs. I don’t know how much people still read blogs. I don’t know how people still read blogs; I use Feedly, many people don’t seem to know what RSS is. I could point back to Biting the Hand. The specifics have changed, but has the gaming landscape changed much? Battle Royale games are the flavor of the moment. MMOs remain a niche market dominated by World of Warcraft, which has held the crown for longer than any of us thought possible. The most interesting thing to me at this point is what is happening with the game shop platforms like Steam and its recent competitors, and whether Steam can survive under the weight of its expansion. We are seeing the same sort of refragmentation after accumulation that we are seeing in other markets like streaming video, and I should not let this trail off into another gaming economics post. Ahem: I could point back to Biting the Hand. Jessica Mulligan closed up shop there with the note that she was repeating herself, watching others repeat themselves. I have had some repeating of myself, although I am more likely just to link back to myself yet again. The archives are still there, but I am not led to believe that people read back through archives much. I do, but I am weird. It is nothing new that “news” is what is new, and there is always more “new” coming in. I have perhaps a few more things I could say, but I have probably said most of it in some form. Before MMO blogs became popular, similar content appeared on “rant sites.” Some folks have been around long enough to remember those. Tweety and Lum are in the industry now, and I occasionally see something from one of them, whether work-related or still ranting. I think a lot of early MMO blogging was inspired by that, where we had the idea we could help move the industry by shouting about it. I don’t know that we influenced much. MMOs carry on, probably more than I know. We all still dream of The One, the game that will fulfill our dreams or at least its promises, or recapture that First MMO Feeling. I have lost track of them, which games are out or coming. I occasionally hear about them closing down. I want to make a Dawn joke here, but it seems neither important nor recognizable. But if you’re still reading, again there’s a good chance you were around for Dawn drama. At some point, KTR and other MMO blogs mostly drifted from being MMO blogs. Some have remained pure, I am sure, but we became online gaming blogs, gaming blogs, online culture blogs, general blogs. And we gradually trailed off. Kill Ten Rats has long since trailed off. Occasionally something will spur a stream of posts. By our numbers, I know that several thousand of you are still out there. I have seen too many blogs where the last post is “not dead yet,” six months after the previous post. So I am hanging up my digital pen. Ethic opened the gates on the rat hunt, and he gets to close them. I have seen myself change over time. I was more conflict-prone in my youth. Back in college, I explicitly belonged to a gladiatorial combat theory of dialectic: pit two ideas against each other and see which was left standing. You have probably noticed that my style has less conflict, more analysis and detail. I recently saw a college-age friend write that their preferred style of working out ideas was to confidently assert a position and hold it against similarly adversarial arguments from others. I saw myself and smiled wistfully like old people do. I have noticed my mistakes and typos over time and wondered whether I am slipping or just more aware and conscientious now. I have a couple million words here, and I occasionally look at an old post and fix old typos. We acquire new frailties over time and realize we may have always had others, just balanced by youthful energy and resilience. I have reached the point of looking back at a lot of decisions in life. Some of them have worked better than others. There are some that I would have done differently had I known then. There are some I can correct now, others where the time has passed. The return on investment proposition has changed on some. I still dream of making it to Disney as a next career path, and hey, I’m open to any interesting opportunities in project management and technical development. Call me. We have had a lot of good discussions. We have had fun. We have sometimes met and played together. I am still Zubon on Steam, if you want to find me for a game sometime. If you are still reading, you have been reading Zubon at Kill Ten Rats for the past 14 years. Thanks for reading. See you around. Playing a bit more Sentinels and looking in on the community, I find that some of the heroes and villains are extremely swingy and can go from steamroller to steamrolled based on a lucky draw, especially at higher difficulties. Cosmic Omnitron can potentially defeat the heroes during initial setup, Citizen Dawn can potentially prevent the players from ever having any cards to play (not a technical first turn loss, but a guaranteed loss from setup), and Wager Master can potentially win or lose on the first turn. Some people like the higher difficulty and say it feels like a more satisfying win when you overcome the opponent. I look at that, and it feels more like luck that you had a chance to win at all. You can make the right decisions and improve your odds, but even at their base difficulty, villains like Cosmic Omnitron and Akash’bhuta can get a lucky draw and play 10 cards in a turn. Granted, that can effectively be an enrage timer, in that you need to defeat the villain before that roll of the dice comes up, but it still makes winning and losing more of a roll of the dice than I usually like in my strategy games. I am using Sentinels of the Multiverse as my example here, but it is far from the only game where the challenging content has a significant luck-based factor on whether it is “challenging” or “impossible” (or, if luck goes the other way, “accidentally trivial”). That’s not a satisfying challenge for me. I have been playing more Sentinels of the Multiverse and digging it. I have been playing the solo, computer version, so I cannot speak to the original, intended experience, but this has been entertaining. I was initially down on the game, as the link suggests. The base game has some content, but most of it comes from its various expansions, so you start the game and immediately see that 90+% of the content is behind a paywall. It’s not even a bad monetization system. The base game is inexpensive, and the additional content is available both in discounted packs and in very small units if you want only a subset. But it is not a good welcome to the game. After being down on it, I played through all the original content at all difficulty levels, because I started having fun after giving it a fair shake. It is entertaining. You get superheroes, you beat up supervillains. The difficulty is not that high, except when it is; different villains and environments have different difficulty ratings, and some of them synergize, and some heroes work better or worse for each. 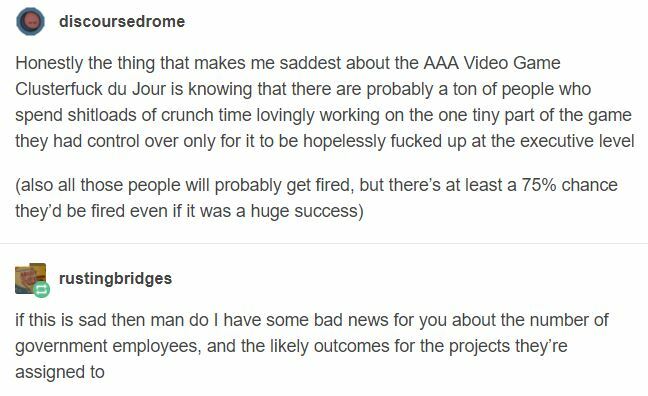 Not knowing going in, you basically have a crapshoot and may end up with a team missing something really important for that villain, or you may steamroll. With some foreknowledge of what is in each deck, you can definitely steamroll even the higher difficulties, although ridiculously perverse pulls from the villain deck are possible (and counterable, if you have the perfect cards in hand). Lately, I have been unlocking the variant characters. You can do this for free with a click, but I have been going through the story challenges. Some of those are simple, like “put Bunker in all three of his modes during one game.” Others can be extremely particular, like defeating a villain with a specific card with another card in play after using two other specific cards in a certain order, or recursively demanding. I was listing what you need to do to unlock the Freedom Five, but it was so long I got tired in the first phase of it. You need to unlock ten characters and intentionally lose at least four games, and then you can set up a particular lengthy fight. Basically, you are recreating part of the backstory of the game, and over time the developers have been defining “recreate” more narrowly or using more complex bits of story. Engineering the right circumstances can be an interesting juggling act as you need the fight to go long enough to cause X, but you cannot cause Y, and hero A must be incapacitated but hero B cannot and maybe C needs to deal the final damage. And then you can stop that nonsense and go back to an old fashioned slugfest, which is the base fun of the game. You get to play superheroes, have some neat abilities, and fight villains with neat abilities that you can counter or just brute force through. An acquaintance was enthusiastic about the original version of this game a long time ago. I probably should have listened then. This is not the best cooperative game I have seen, but it has been fun enough for me to want to buy more of it and play with the other heroes, villains, and environments. And the latest stuff has team and villain modes, which I have not touched yet, so there are still multiverses to visit. I finished Act III of Middle-earth: Shadow of War, and I do not know if I really need to complete the epilogue. At its best, it will be more of Act II; at its worst, it is a famous grind. Shadow of War released to much anger as it included microtransactions (mostly loot boxes) in a single player game. That deserves all the hate it got and more. That was removed from the game before I got it; we all have a responsibility not to reward that sort of monetization, but we can be forgiving of mistakes. Shadow of War has basically the same gameplay as Shadow of Mordor, which has basically the same gameplay at the Batman Arkham series, which is good. Even at its worst, the basic gameplay is good. Shadow of War/Mordor replaces the gadgets with magic powers. It does stealth better than the Batman series with a more satisfying open world. Act II of Shadow of War is the heart of the game and the series. If “more of the same” sounds great after Shadow of Mordor, or after having played that a long while ago, Act II of Shadow of War is exactly what you want in life. It can feel like a bit of a grind, in that you are doing the same thing in several lands, but hunting orcs is what the game is about. The Act II storylines are OK, not stellar, but generally enjoyable. The main storyline is good; Carnan’s storyline is a tour of the game’s beasts, which is the equivalent of the vehicle section in most similar games. Act III is very good. It is short, but it culminates the story nicely with a great dark reprise. The first part of it is better; the actual climax fight is rather easy, is interesting for its characters but not its mechanics, and ends in a willfully unresolved story bit. OK, fine, but the dark reprise makes everything worth it. It may even push me into and through the epilogue grind. I have my gripes, but ultimately Shadow of War does what it is supposed to. It is an open world game where you dominate and murder orcs. The story takes seriously what is going on, rather than ignoring that your hero’s methods are enslavement and murder. You get your power fantasy violence, your self-sacrificing heroism, and your moral reflection. But you’re probably here for the violence, which is executed well. I put off getting Middle-earth: Shadow of War for a long time because of the initial loot box issues, which I believe are gone now (at least in the PC version). And, of course, waiting on a Steam sale. My first impression while playing is that “more of the same” of this formula is a good thing, whether you have another of these games, an Arkham Batman game, Assassin’s Creed, whatever. I like the stealth and combo gameplay with collectibles and quests. My next impression was that the game has inelegant complexity of the “let’s throw in everything” sort, starting with all the complexity of the original and embellishing it at every point possible, such as adding specialization options to each skill, adding loot with quests and unlocks and levels, adding several categories of variables to orcs, and adding several new subsystems including a follower grind. But then I got enough practice and character capacity to murder my way out of most issues, which is what the game is about. Just yesterday I got to the kaiju fight. Amongst the things I was expecting in a Middle-earth game, a Pacific Rim-style kaiju fight against a balrog was NOT on the list. But you know? That was an amazing moment. Half of that quest/fight amounted to an extended quicktime event, but I will forgive that for a kaiju fight against a balrog. Monetary policy as a major electoral issue feels like a weird thing in American history. William Jennings Bryan and the cross of gold speech, bimetallism, all that — reading about it in high school, I understood that it related to farmers’ debts, but currency reform as a primary presidential issue? What? This is not exactly a new insight, but I still occasionally find it odd that people find it odd that people spend X amount of time on games, when they spend >2*X amount of time on television. Last year, I completed the 10×10 challenge, which is to play 10 board games each 10 times. That’s 100 games, and that would be an undercount in that you play other games (just not 10 times) and you might play more than 10 times. So that is way more than the average American plays board games, even counting “board games” broadly to include card games like poker. But that is still just two games per week, and you are below the average American if you watch two television shows per day. Heck, I’ve known people to watch two episodes of Law & Order per day pretty consistently. It would not be odd to watch two movies per week, and most movies are longer than most board games. Gaming is not exactly an obscure hobby these days. Everyone has games on their phones. I suppose treating any hobby seriously and intentionally is unusual.